The process of comedogenesis is thought to be due to hyperproliferation of ductal keratinocytes, inadequate separation of the ductal corneocytes, or a combination of both factors, resulting in microcomedones. Hyperproliferation of basal keratino-cytes in acne has been demonstrated (180,181) and correlates with keratin 16 expression, a marker for hyperproliferation suprabasally (182). Aldana et al. (183) proposed a cycling of normal follicles through different levels of expression of Ki-67 (a proliferation marker) and keratin 16 and that these represent different stages of development of the microcomedone. The point at which both Ki-67 and keratin 16 are coexpressed by the follicle is when the follicle is susceptible to comedogenic changes (184). A more extensive investigation of adhesion in follicles is required. In epidermis, intercellular adhesion is mediated by lipids, cellular adhesion molecules, and desmosomes. At the present time, the relative importance of follicular intercellular lipids in normal and acne follicles is unclear due to the experimental difficulties encountered obtaining sufficient material for analysis. Hypercornification from the retention of desmosomes was described to be a contributory factor to the formation of acne lesions. However, no differences were detected between staining for these epitopes in the wall of normal and comedonal follicles (29). Although it is clear that we now know a great deal about the pilosebaceous unit at the structural, biochemical, and physiological levels, there are still considerable gaps in our understanding. Much of the early work was descriptive biology of the structure obtained using immunohistochemical studies. Over the last decade, several in vitro models systems (isolated organ culture, cultured sebocytes) have made it easier to study the cellular processes in the follicle, including sebum production and the effect of inhibitors and stimulators. There is also now a good deal of information about the chemistry and biosynthesis of sebum components, and we also have a much better understanding of the cell biology of the pilosebac-eous duct. Even so, we are still unable to precisely define the cause of one of the most common skin diseases, namely acne, which affects a very large proportion of the population globally. The author wishes to acknowledge and thank Professor W Cunliffe for kindly allowing the use of Figure 1B, and the journal "Retinoids and Lipid Soluble Vitamins in Clinical Practice" for kindly allowing the use of Figures 1A, 2, and 3. Eisen AZ, Holyoke JB, Lobitz WC. Responses of the superficial portion of the human pilosebaceous apparatus to controlled injury. J Invest Dermatol 1955; 25:145-156. Alonso L, Fuchs E. Stem cells of the skin epithelium. Proc Natl Acad Sci USA 2003; 30(suppl 1):11830-11835. Cotsarelis G, Sun TT, Lavker R. Label-retaining cells reside in the bulge area of pilo-sebaceous unit: implications for follicular stem cells, hair cycle and skin carcinogenesis. Cell 1990; 61:1329-1337. Oshima H, Rochat A, Kedzia C, Kobayashi K, Barrandon Y. Morphogenesis and renewal of hair follicles from adult multipotent stem cells. Cell 2001; 104:233-245. 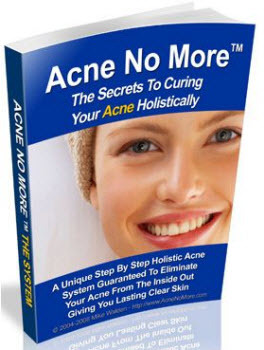 Shuster S. Biological purpose of acne. Lancet 1976; 1:1328-1329. Zouboulis C. Sebaceous gland in human skin—the fantastic future of a skin appendage. J Invest Dermatol 2003; 120(6):xiv-xv. Kligman AM. 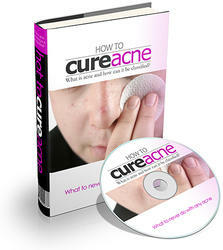 An overview of acne. J Invest Dermatol 1974; 62:268 - 287. Leeming JP, Holland KT, Cunliffe WJ. The microbiological ecology of pilosebaceous units from human skin. J Gen Microbiol 1984; 130:803-807. Hughes BR. The Structure and Function of the Pilosebaceous Duct in Health and Disease—with Special Reference to Acne Vulgaris. MD thesis, University of Leeds, UK, 1992. Holbrook KA. Structure and function of the developing human skin. In: Goldsmith LA, ed. Physiology, Biochemistry and Molecular Biology of the Skin. Vol. 1. Oxford: Oxford University Press, 1991:83-89. Westgate GE, Shaw DA, Harrap GJ, Couchman JR. Immunohistochemical localisation of basement membrane components during hair follicle morphogenesis. J Invest Dermatol 1984; 82:259-264. Millar SE. Molecular mechanisms regulating hair follicle development. J Invest Dermatol 2002; 118:216-225. McElwee KJ, Hoffman R. Growth factors in early hair follicle morphogenesis. Eur J Dermatol 2000; 10:341-350. Ebling FJG. Embryology. In: Rook A, Wilkinson DS, Ebling FJG, eds. Textbook of Dermatology. Oxford: Blackwell Scientific, 1968:16-22. Ferraris C, Bernard BA, Dhouailly D. Adult epidermal keratinocytes are endowed with pilosebaceous forming abilities. Int J Dev Biol 1997; 41:491-498. Serri F, Huber WM. In Advances in Biology of Skin. Vol. 4. Oxford: Pergamon Press, 1963:1-18. Allen M, Grachtchouk M, Sheng H, et al. Hedgehog signaling regulates sebaceous gland development. Am J Path 2003; 163:2173-2178. Niemann C, Unden AB, Lyle S, Zouboulis ChC, Toftgard R, Watt FM. Indian hedgehog and beta-catenin signaling: role in the sebaceous lineage of normal and neoplastic mammalian epidermis. Proc Natl Acad Sci USA 2003; 100(suppl 1): 11873-11880. Pierard GE. Follicle to follicle heterogeneity of sebum excretion. Dermatologica 1986; 173:61-65. Montagna W. Advances in Biology of the Skin. Vol. 4. Oxford, U.K.: Pergamon Press, 1963. Blume U, Ferracin J, Verschoore M, Czernielewski JM, Schaefer H. Physiology of the vellus hair follicle: hair growth and sebum excretion. Br J Dermatol 1991; 124: 21-28. Pagnoni A, Kligman AM, el Gammal S, Stoudemayer T. Determination of density of follicles on various regions of the face by cyanoacrylate biopsy: correlation with sebum output. Br J Dermatol 1994; 131:862-865. Otberg N, Richter H, Schaefer H, Blume-Peytavi U, Sterry W, Lademann J. Variations of hair follicle size and distribution in different body sites. J Invest Dermatol 2004; 122:14-19. Cunliffe WJ, Perera WDH, Thackray P, Williams M, Forster RA, Williams SM. Pilo-sebaceous duct physiology III. Observations on the number and size of pilo-sebaceous ducts in acne vulgaris. Br J Dermatol 1976; 95:153-156. Price VH, Cappas A, Uno H. Compound follicles presenting as folliculitis and scarring alopecia [abstr]. J Invest Dermatol 1992; 98:582. Cunliffe WJ, Cotterill JA. The Acnes-Clinical Features, Pathogenesis and Treatment. London: WB Saunders, 1975. Williams M, Cunliffe WJ, Gould D. Pilosebaceous duct physiology I. Effect of hydration on pilosebaceous duct orifice. Br J Dermatol 1974; 90:631-635. Plewig G, Kligman AM. Acne, Morphogenesis and Treatment. Berlin: Springer-Verlag, 1975. Knaggs HE, Hughes BR, Morris C, Holland DB, Wood EJ, Cunliffe WJ. Immunohistochemical study of desmosomes in acne vulgaris. Br J Dermatol 1994; 130:731-737. Rosenquist TA, Martin GA. Fibroblast growth factor signalling in the hair growth cycle: expression of the fibroblast growth factor receptor and ligand genes in the murine hair follicle. Dev Dyn 1996; 205:379-386. Danilenko DM, Ring BD, Pierce GF. Growth factors and cytokines in hair follicle development and cycling: recent insights from animal models and the potential for clinical therapy. Mol Med Today 1996; 2:460-467. Paus R, Cotsarelis G. The biology of hair follicles. N Engl J Med 1999; 341:491-497. Van Mater D, Kolligs FT, Dlugosz AA, Fearon ER. Transient activation of ^-catenin signalling in cutaneous keratinocytes is sufficient to trigger the active growth phase of the hair cycle in mice. Genes Dev 2003; 17:1219-1224. Stenn K, Paus R. Controls of hair follicle cycling. Physiol Rev 2003; 81:449-494. Heid HW, Moll I, Franke WW. Patterns of expression of trichocytic and epithelial cyto-keratins in mammalian tissues I. Human and bovine hair follicle. Differentiation 1988; 91:553-559. Moll R, Franke WW, Volk Platzer B, Koepler R. Different keratin polypeptides in epidermis and other epithelia of human skin: a specific cytokeratin of molecular weight 46000 in epithelia of the pilosebaceous tract and basal cell epitheliomas. J Cell Biol 1982; 95:285-295. Wilson CL, Deane D, Wojnarowska F, Lane EB, Leigh IM. Follicular keratin expression in normal and psoriatic scalp [abstr]. J Invest Dermatol 1990; 95:495. Knutson DD. Ultrastructural observations in acne vulgaris. The normal sebaceous follicle and acne lesions. J Invest Dermatol 1974; 62:288-307. Kluznik AR, Cunliffe WJ. Keratin biosynthesis in the pilosebaceous ducts in acne vulgaris. Biochem Soc Trans 1988; 220:330-331. Stark H-J, Breitkreutz, Limat A, Bowden PE, Fusenig NE. Keratins of the human hair follicle: "Hyperproliferative" keratins consistently expressed in outer root sheath cells in vivo and in vitro. Differentiation 1987; 35:236-248. Rupniak HT, Turner DM, Cunliffe WJ, Dhuna R, West MR. Cell envelope production in acne. In: Marks R, Plewig G, eds. Acne and Related Disorders. London: Martin Dunitz, 1989:87-93. Rupniak HT, Turner DM, Wood EJ, Cunliffe WJ. Characteristics of the cell envelope system in normal and psoriatic epidermis [abstr]. J Invest Dermatol 1986; 87:164. Peterson LL, Wuepper KD. Epidermal and hair follicle transglutaminases and cross-linking in skin. Mol Cell Biochem 1984; 58:99-111. Rothnagel JA, Rogers GE. Transglutaminase-mediated cross-linking in mammalian epidermis. Mol Cell Biochem 1984; 58:113-119. Murphy GF, Flynn TC, Rice RH, Pinkus G. Involucrin expression in normal and neo-plastic skin: a marker for keratinocyte differentiation. J Invest Dermatol 1984; 82:453-457. Greco MA, Ladas D, Rudolph S, Baden H. Modulation of pancornulin expression by calcium and relative confluence [abstr]. J Invest Dermatol 1992; 98:640. Kvedar JC, Manabe M, Phillips SB, Ross BS, Baden HP. Characterisation of sciellin, a precursor to the cornified envelope of human keratinocytes. Differentiation 1992; 49:195 - 204. Hohl D, Olana BR, Schnyder UW, Roop DR. Loricrin is a marker of squamous differentiation in rodents and a marker of epidermal differentiation in higher mammals [abstr]. J Invest Dermatol 1991; 96:1030. Philpott MP. Defensins and acne. Mol Immunol 2003; 40:457-462. Bell M. A comparative study of the ultrastructure of the sebaceous glands of man and other primates. J Invest Dermatol 1974; 62:132-143. Brandes D, Bertini F. Role of lysosomes in cellular lytic processes II. Cell death during holocrine secretion in sebaceous glands. Exp Mol Pathol 1965; 11:245 - 265. Im MJC, Hoopes JE. Enzymes of carbohydrate metabolism in normal human sebaceous glands. J Invest Dermatol 1974; 62:153-160. Hurley HJ, Shelley WB, Koelle GB. The distribution cholinesterases in human skin, with special reference to eccrine and apocrine sweat glands. J Invest Dermatol 1953; 21:139-147. Pawlowski A, Weddell G. The lability of cutaneous neural elements. Br J Dermatol 1967; 79:14-19. Toyoda M, Nakamura M, Morohashi M. Neuropeptides and sebaceous glands. Eur J Dermatol 2002; 12:422-427. Downing DT, Strauss JS, Ramasastry P, Abel M, Lees CW, Pochi PE. Measurement of the time between synthesis and surface excretion of sebaceous lipids in sheep and man. J Invest Dermatol 1975; 64:215-219. Pochi PE, Downing DT, Strauss JS. Sebaceous gland response in man to prolonged total caloric deprivation. J Invest Dermatol 1970; 55:303-309. Downing DT, Strauss JS. On the mechanism of sebum secretion. Arch Dermatol Res 1982; 272:343-349. Downing DT, Straniesi AM, Strauss JS. The effect of accumulated lipids on measurements of sebum secretion in human skin. J Invest Dermatol 1982; 79:226-228. Pierard-Franchimont C, Pierard GE. Postmenopausal aging of the sebaceous follicle: a comparison between women receiving hormone replacement therapy or not. Dermatology 2003; 204(1):17-22. Zouboulis CC, Boschnakow A. Chronological ageing and photoageing of the human sebaceous gland. Clin Exp Dermatol 2001; 26(7):600-607. Thiele JJ, Weber SU, Packer L. Sebaceous gland secretion is a major physiologic route of vitamin E delivery to skin. J Invest Dermatol 1998; 113:390-395. Fluhr JW, Man M-Q, Brown BE, et al. Glycerol regulates stratum corneum hydration in sebaceous gland deficient (asebia) mice. J Invest Dermatol 2003; 120: 728 - 737. Williams D, Siock P, Stenn K. 13-cis-Retinoic acid affects sheath-shaft interaction of equine hair follicles in vitro. J Invest Dermatol 1996; 106(2):356-361. Williams D, Stenn K. Transection level dictates the pattern of hair follicle sheath growth in vitro. Dev Biol 1994; 165:469-479. Philpott MP, Sanders DA, Kealey T. Is the sebaceous gland important for inner root sheath breakdown? In: Van Neste D, Randall VA, eds. Hair Research for the Next Mile-nnium. Amsterdam: Elsevier, 1996:393-395. Gates AH, Karasek M. Hereditary absence of sebaceous glands in mouse. Science 1965; 148:1471-1473. Downing DT, Stewart ME, Strauss JS. Changes in sebum secretion and the sebaceous gland. Clin Geriatr Med 1989; 5(1):109-114. Kligman AM. The uses of sebum. Br J Dermatol 1963; 75:307-319. Youn SW, Kim SJ, Hwang IA, Park KC. Evaluation of facial skin type by sebum secretion: discrepancies between subjective descriptions and sebum secretion. Skin Res Technol 2002; 8(3):168-172. Downie MMT, Kealey T. Lipogenesis in the human sebaceous gland: glycogen and glycerophosphate are substrates for the synthesis of sebum lipids. J Invest Dermatol 1998; 1111:199-205. Marsden JR, Middleton B. Lipogenesis in isolated human sebacoues glands: effects of different precursors and inhibitors of cholesterol synthesis. In: Marks R, Plewig G, eds. Acne and Related Disorders. London, U.K.: Martin Dunitz, 1989:35-38. Smythe CDW, Greenall M, Kealey T. The activity of HMG-CoA reductase and actyl-CoA carboxylase in human apocrine sweat glands, sebaceous glands and hair follicles is regulated by phosphorylation and by exogenous cholesterol. J Invest Dermatol 1998; 111:139-148. Marsden JR, Middleton B, Cox J. Lipogenesis in isolated human sebaceous glands: effect of inhibitors. Br J Dermatol 1986; 116:448. Cunliffe WJ, Burton JL, Shuster S. Effect of aluminium nicotinate on sebum excretion. Br J Dermatol 1969; 81:867-868. Strauss JS, Pochi PE, Whitman EN. Suppression of sebaceous gland activity with eicosa-5:8:11:14-tetraynoic acid. J Invest Dermatol 1967; 48(5):492-493. Nicolaides N, Kellum RE, Woolley PV. The structures of the free unsaturated fatty acids of human skin surface fat. Arch Biochem Biophys 1964; 105:634-639. Nicolaides N, Fu HC, Ansari MN, Rice GR. The fatty acids of wax esters and sterol esters from vernix caesosa and from human skin surface. Lipids 1972; 7:506-517. Ge L, Gordon JS, Hsuan C, Stenn K, Prouty SM. Identification of the D-6 desaturase of human sebaceous glands expression and enzyme activity. J Invest Dermatol 2003; 120:707-714. Zheng Y, Eilertsen KJ, Ge L, et al. Scd1 is expressed in sebaceous glands and is disrupted in the asebia mouse. Nat Genet 1999; 23(3):268-270. Downing DT, Stewart ME, Wertz PW, Strauss JS. Essential fatty acids and acne. J Am Acad Dermatol 1986; 14:221-225. Stewart ME, Quinn MA, Downing DT. Variability in the fatty acid composition of wax esters from vernix caseosa and its possible relation to sebaceous gland activity. J Invest Dermatol 1982; 78:291-295. Thody A, Shuster S. Control and function of sebaceous glands. Physiol Rev 1989; 69:383416. Stewart ME, Grahek MO, Cambier LS, Wertz PW, Downing DT. Dilutional effect of increased sebaceous gland activity on the proportion of linoleic acid in sebaceous wax esters and in epidermal acylceramides. J Invest Dermatol 1986; 87:733 - 736. Stewart ME, Greenwood R, Cunliffe WJ, Strauss JS, Downing DT. Effect of cyproterone acetate-ethinyl estradiol treatment on the proportions of linoleic and sebaleic acids in various skin surface lipid classes. Arch Dermatol Res 1986; 278:481 -485. Kotani A, Kusu F. HPLC with electrochemical detection for determining the distribution of free fatty acids in skin surface lipids from the human face and scalp. Arch Dermatol Res 2002; 294(4):172-177. Nicolaides N, Apon JM. The saturated methyl branched fatty acids of adult human skin surface lipid. Biomed Mass Spectrom 1977; 4:337-347. Stewart ME, Downing DT. Proportions of various straight and branched fatty acid chain types in the sebaceous wax esters of young children. J Invest Dermatol 1985; 84:501-503. Pappas A, Anthonavage M, Gordon JS. Metabolic fate and selective utilisation of major fatty acids in human sebaceous gland. J Invest Dermatol 2002; 118:164-171. Wrobel A, Seltmann H, Fimmel S, et al. Differentiation and apoptosis in human immortalized sebocytes. J Invest Dermatol 2003; 120(2):175-181. Hamilton JB. Male hormone substance: a prime factor in acne. J Clin Endocrinol 1941; 1:570-592. Rosenfield RL, Deplewski D. Role of androgens in the developmental biology of the pilosebaceous unit. Am J Med 1995; 16(suppl):80-88. Imperato-McGinley J, Gautier T, Cai LQ, Yee B, Epstein J, Pochi P. The androgen control of sebum production. Studies of subjects with dihydrotestosterone deficiency and complete androgen insensitivity. J Clin Endocrinol Metab 1993; 76:524-528. Holland DB, Cunliffe WJ, Norris JFB. Differential response if sebaceous glands to exogenous testosterone. Br J Dermatol 1998; 139:102-103. Henderson CA, Knaggs H, Clark A, Highet AS, Cunliffe WJ. Apert's syndrome and androgen receptor staining of the basal cells of sebaceous glands. Br J Dermatol 1995; 132(1):139-143. Whitaker SB, Vigneswaran N, Singh BB. Androgen receptor status of the oral sebaceous glands. Am J Dermatopathol 1997; 19(4):415-418. Choudhry R, Hodgins MB, Van der Kwast TH, Brinkmann AO, Boersma WJ. Localization of androgen receptors in human skin by immunohistochemistry: implications for the hormonal regulation of hair growth, sebaceous glands and sweat glands. J Endocri-nol 1992; 133(3):467-475. Sawaya M. Purification of androgen receptors in human sebocytes and hair. J Invest Dermatol 1992; 98(suppl):92-96. Cunliffe WJ, Shuster S. Pathogenesis of acne. Lancet 1969; 1:685-687. Cunliffe WJ. In: Marks R, ed. Androgen abnormalities in acne subjects. Acne. London: Martin Dunitz, 1989:158-160. Akamatsu H, Zouboulis CC, Orfanos CE. Spironolactone directly inhibits proliferation of cultured human facial sebocytes and acts antagonistically to testosterone and 5 alpha-dihydrotestosterone in vitro. J Invest Dermatol 1993; 100:660-662. Cunliffe WJ, Forster RA. Androgen control of the pilosebaceous duct. [abstr]. Br J Dermatol 1986; 116:449. Sawaya ME, Penneys NS. Immunohistochemical distribution of aromatase and 3b-hydroxysteroid dehydrogenase in human hair follicle and sebaceous gland. J Cutan Pathol 1992; 19(4):309-314. Thiboutot D, Martin P, Volikos L, Gilliland K. Oxidative activity of the type 2 isozyme of 17beta-hydroxysteroid dehydrogenase (17beta-HSD) predominates in human sebaceous glands. J Invest Dermatol 1998; 111(3):390-395. Thiboutot D, Knaggs H, Gilliland K, Lin G. Activity of 5-alpha-reductase and 17-beta-hydroxysteroid dehydrogenase in the infrainfundibulum of subjects with and without acne vulgaris. Dermatology 1998; 196(1):38-42. Luu-The V, Sugimoto Y, Puy L, et al. Characterization, expression, and immunohisto-chemical localization of 5 alpha-reductase in human skin. J Invest Dermatol 1994; 102(2):221-226. Thiboutot D, Harris G, Iles V, Cimis G, Gilliland K, Hagari S. Activity of the type 1 5-alpha-reductase exhibits regional differences in isolated sebaceous glands and whole skin. J Invest Dermatol 1995; 105:209 -214. Bayne EK, Flanagan J, Einstein M, et al. Immunohistochemical localization of types 1 and 2 5-alpha-reductase in human scalp. Br J Dermatol 1999; 141(3):481-491. Thiboutot DM, Knaggs H, Gilliland K, Hagari S. Activity of type 1 5 alpha-reductase is greater in the follicular infrainfundibulum compared with the epidermis. Br J Dermatol 1997; 136(2):166-171. Thiboutot D, Jabara S, McAllister JM, et al. Human skin is a steroidogenic tissue: ster-oidogenic enymes and cofactors are expressed in epidermis, normal sebocytes and an immortalised sebocyte cell line (SEB-1). J Invest Dermatol 2003; 120:905-914. Ideta R, Seki T, Adachi K, Nakayama Y. The isolation and characterization of androgen-dependent genes in the flank organs of golden Syrian hamsters. Dermatology 1998; 196(1):47-50. Rosignoli C, Nicolas JC, Jomard A, Michel S. Involvement of the SREBP pathway in the mode of action of androgens in sebaceous glands in vivo. Exp Dermatol 2003; 12:480-489. Guy R, Ridden C, Kealey T. The improved organ maintenance of the human sebaceous gland: modeling in vitro the effects of epidermal growth factor, androgens, estrogens, 13-cis retinoic acid, and phenol red. J Invest Dermatol 1996; 106(3):454-460. Ebling FJ, Skinner J. The local effects of topically applied estradiol, cyproterone acetate and ethanol on sebaceous secretion in intact male rats. J Invest Dermatol 1983; 81:448-451. Strauss JS, Kligman AM, Pochi PE. Effects of androgens and estrogens on human sebaceous glands. J Invest Dermatol 1962; 39:139-155. Sator PG, Schmidt JB, Sator MO, Huber JC, Honigsmann H. The influence of hormone replacement therapy on skin ageing: a pilot study. Maturitas 2001; 25:43-55. Thornton MJ, Taylor AH, Mulligan K, et al. The distribution of estrogen receptor beta is distinct to that of the estrogen receptor a and the androgen receptor in human skin and the pilosebaceous unit. J Invest Dermatol Sym Proc 2003; 8:100-103. Thornton MJ, Taylor AH, Mulligan K, et al. Oestrogen receptor beta is the predominant oestrogen receptor in human scalp skin. Exp Dermatol 2003; 12(2):181-190. Doran TI, Lucas DA, Levin AA, et al. Biochemical and retinoid receptor activities in human sebaceous cells. In: Saurat J-H, ed. Retinoids: 10 Years On. Basel: Karger, 1991:243-253. Kim MJ, Ciletti N, Michel S, Reichert U, Rosenfield RL. The role of specific retinoid receptors in sebocyte growth and differentiation in culture. J Invest Dermatol 2000; 114:349-353. Zouboulis CC, Korge BP, Miscke D, Orfanos CE. Altered proliferation, synthetic activity, and differentiation of cultured human sebocytes in the absence of vitamin A and their modulation by synthetic retinoids. J Invest Dermatol 1993; 101:628-633. Zouboulis CC, Korge B, Akamatsu H, et al. Effects of 13-cis-retinoic acid, all trans-retinoic acid and acitretin on the proliferation, lipid synthesis and keratin expression of cultured human sebocytes in vitro. J Invest Dermatol 1991; 96:792- 797. Tsukada M, Schroder M, Roos TC. 13 cis-retinoic acid exerts its specific activity on human sebocytes through selective intracellular isomerisation to all trans-retinoic acid and binding to retinoid acid receptors. J Invest Dermatol 2000; 115:321-327. Zouboulis CC, Seltmann H, Neitzel H, Orfanos CE. Establishment and characterization of an immortalized human sebaceous gland cell line (SZ95). J Invest Dermatol 1999; 113(6):1011-1020. Ridden J, Ferguson D, Kealey T. Organ maintenance of human sebaceous glands: in vitro effects of 13-cis retinoic acid and testosterone. J Cell Sci 1990; 95:125-136. Guy R, Ridden C, Barth J, Kealey T. Isolation and maintenance of the human pilosebac-eous duct: 13-cis retinoic acid acts directly on the duct in vitro. Br J Dermatol 1993; 128(3):242-248. Stewart ME, Benoit AM, Stranieri AM, Rapini RP, Strauss JS, Downing DT. Effect of oral 13-cis-retinoic acid at three dose levels on sustainable rates of sebum secretion and on acne. J Am Acad Dermatol 1983; 8:532-538. Dalziel K, Barton S, Marks R. The effects of isotretinoin on follicular and sebaceous gland differentiation. Br J Dermatol 1987; 117:317-323. Karlsson T, Vahlquist A, Kedishvili N, Torma H. 13-cis-retinoic acid competitively inhibits 3 alpha-hydroxysteroid oxidation by retinol dehydrogenase RoDH-4: a mechanism for its anti-androgenic effects in sebaceous glands? Biochem Biophys Res Commun 2003; 303(1):273 -278. Sitzmann JH, Bauer FW, Cunliffe WJ, Holland DB, Lemotte PK. In situ hybridization analysis of CRABP II expression in sebaceous follicles from 13-cis retinoic acid-treated acne patients. Br J Dermatol 1995; 133(2):241-248. Stumpf WE, Koike N, Hayakawa N, et al. Distribution of 1,25-dihydroxyvitamin D3[22-oxa] in vivo receptor binding in adult and developing skin. Arch Dermatol Res 1995; 287:294-303. Stumpf WE, Perez-Delgado MM, Li L, Bidmon HJ, Tuohimaa P. Vitamin D3 (soltriol) nuclear receptors in abdominal scent gland and skin of Siberian hamster (Phodopus sungorus) localised by autoradiography and immunohistochemistry. Histochemistry 1993; 100:115-119. Sato T, Imai N, Akimoto N, Sakiguchi T, Kitamura K, Ito A. Epidermal growth factor and 1-25-dihydroxy-vitamin D3 suppress lipogenesis in hamster sebaceous gland cells in vitro. J Invest Dermatol 2001; 117:965-970. Tontonoz P, Hu E, Spigelman B. Stimulation of adipogenesis in fibroblasts by PPARy2, a lipid-activated transcription factor. Cell 1994; 79:1147-1156. Tontonoz P, Hu E, Spigelman BM. Regulation of adipocyte gene expression and differentiation by peroxisome proliferators activated receptor. Curr Opin Genet Dev 1995; 5:571-576. Rosenfield RL, Kentsis A, Deplewski D, Ciletti N. Rat preputial sebocyte differentiation involves peroxisome proliferator-activated receptors. J Invest Dermatol 1999; 112:226232. Chen W, Yang CC, Sheu HM, Seltmann H, Zouboulis CC. Expression of peroxisome proliferator-activated receptor and CCAAT/enhancer binding protein transcription factors in cultured human sebocytes. J Invest Dermatol 2003; 121(3):441-447. Rosenfield RL, Deplewski D, Kentsis, Ciletti N. Mechanisms of androgen induction of sebocyte differentiation. Dermatology 1998; 196:43-46. Kim MJ, Deplewski D, Ciletti N, Michel S, Reichert U, Rosenfield RL. Limited cooperation between peroxisome proliferator-activated receptors and retinoid X receptor agonists in sebocyte growth and differentiation. Mol Genet Metab 2001; 74:362-369. Thody AJ, Shuster S. A study of the relationship between the thyroid gland and sebum secretion in the rat. J Endocrinol 1972; 54:239-244. 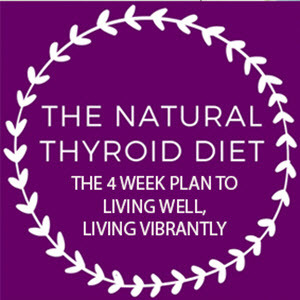 Goolamali SK, Evered D, Shuster S. Thyroid disease and sebaceous function. Br Med J 1973; 1:432-433. Ahsan MK, Urano Y, Kato S, Oura H, Arase S. Immunohistochemical localisation of thyroid hormone nuclear receptors in human hair follicles and in vitro effect of L-triiodothyronine on cultured cells of hair follicles and skin. Lab Med Invest 1998; 44:179-184. Thody AJ, Shuster S. Control of sebum secretion by the posterior pituitary. Nature 1972; 237:346-347. Slominski A, Paus R, Mazurkiewicz JE. Proopiomelanocortin expression in the skin during induced hair growth in mice. Experientia 1992; 48:50-54. Cone RD, Lu D, Koppula S, et al. The melanocortin receptors, agonists, antagonists and the hormonal control of pigmentation. Recent Prog Horm Res 1996; 51:287-318. Stander S, Bohm M, Brzoska T, Zimmer KP, Luger T, Metze D. Expression of melano-cortin-1 receptor in normal, malformed and neoplastic skin glands and hair follicles. Exp Dermatol 2002; 11(1):42-51. Bohm M, Schiller M, Stander S, et al. Evidence for expression of melanocortin-1 receptor in human sebocytes in vitro and in situ. J Invest Dermatol 2002; 118:533-539. Thiboutot D, Sivarajah A, Gilliland K, Cong Z, Clawson G. The melanocortin-5-receptor is expressed in human sebaceous glands and rat preputial cells. J Invest Dermatol 2000; 115:614-619. Chen W, Kelly MA, Opitz-Araya X, Thomas RE, Low MJ, Cone RD. Exocrine gland dysfunction in MC5-R-deficient mice: evidence for coordinated regulation of exocrine gland function by melanocortin peptides. Cell 1997; 91:789 - 798. Zhang L, Anthonavage M, Huang Q, Li WH, Eisinger M. Proopiomelanocortin peptides and sebogenesis. Ann NY Acad Sci 2003; 994:154-161. Akimoto N, Sato T, Sakiguchi T, Kitamura K, Kohno Y, Ito A. Cell proliferation and lipid formation in hamster sebaceous gland cells. Dermatology 2002; 204:118-123. Downie MMT, Sandera DA, Kealey T. Modelling remission of individual acne lesions in vitro. Br J Dermatol 2002; 147:869-878. Moore GPM, Panaretto BA, Carter NB. Epidermal hyperplasia and wool follicle regression in sheep infused with epidermal growth factor. J Invest Dermatol 1985; 84:172-175. Matias JR, Orentriech N. Stimulation of hamster sebaceous glands by epidermal growth factors. J Invest Dermatol 1983; 80:516-519. Green MR, Basketter DA, Couchman JR, Rees DA. Distribution and number of epidermal growth factor receptors in skin related to epithelial cell growth. Dev Biol 1983; 100:506-512. Ridden J. Ph.D. thesis, University of Cambridge, U.K., 1990. Guy R. Ph.D. thesis, University of Cambridge, U.K., 1994. Zouboulis CC, Xia L, Akamatsu H, et al. The human sebocyte culture model provides new insights into development and management of seborrhoea and acne. Dermatology 1998; 196:21-31. Deplewski D, Rosenfield RL. Growth hormone and insulin-like growth factors have different effects on sebaceous cell growth and differentiation. Endocrinology 1999; 140:4089-4094. Zouboulis CC, Seltmann H, Hiroi N, et al. Corticotrophin-releasing hormone: an auto-crine hormone that promotes lipogenesis in human sebocytes. Proc Natl Acad Sci 2002; 99:7148-7153. Toyoda M, Morohashi M. Pathogenesis of acne. Med Electron Microsc 2001; 34:29-40. Anttila HSI, Reitamo S, Saurat JH. Interleukin 1 immunoreactivity in sebaceous glands. Br J Dermatol 1992; 127:585-588. Horneman S, Seltmann H, Kodelija V, Orfanos CE, Zouboulis C. Interleukin-1a mRNA and protein are expressed in cultured human sebocytes at a steady state and their levels are barely influenced by lipopolysaccharides [abstr]. J Invest Dermatol 1997; 108:382. Guy R, Kealey T. Modelling the infundibulum in acne. Dermatology 1998; 196:32-37. Kozlowska U, Blume-Peytavi U, Kodelja V, et al. Vascular endothelial growth factor expression induced proinflammatory cytokines (Interleukin 1a,^) in cells of the human pilosebaceous unit. Dermatology 1998; 196:89-92. Ingham E, Eady EA, Goodwin CE, Cove JH, Cunliffe WJ. Pro-inflammatory levels of interleukin-1a — like bioactivity are present in the majority of open comedones in acne vulgaris. J Invest Dermatol 1992; 98:895-901. Stern RS. Medication and medical service utilization for acne 1995-1198. J Am Acad Dermatol 2000; 43:1042-1048. Strauss JS, Pochi PE. The quantitative gravimetric determination of sebum production. J Invest Dermatol 1961; 36:293-298. Burton JL, Shuster S. The relationship between seborrhoea and acne vulgaris. Br J Der-matol 1971; 85:197-198 (letter). Cotterill JA, Cunliffe WJ, Williamson B. Severity of acne and sebum excretion rate. Br J Dermatol 1971; 85:93-94. Van Scott EJ, MacCardle RC. Keratinisation of the duct of the sebaceous gland and the growth cycle of the hair follicle in the histogenesis of acne in human skin. J Invest Dermatol 1956; 27:405 -429. Holmes RL, Williams M, Cunliffe WJ. Pilosebaceous duct obstruction and acne. Br J Dermatol 1972; 87:327-332. Blake J, Cunliffe WJ, Holland KT. The development and regression of individual acne lesions [abstr]. J Invest Dermatol 1986; 87:130. Al Baghdadi H. The Structure and Function of the Skin in Relation to Acne Vulgaris. A Clinical and Functional Study Using Non-Intrusive Dermatological Sampling Techniques. Ph.D. thesis, University of Leeds, U.K., 1984. Wolff HH, Plewig G, Braun-Falco O Ultrastructure of human sebaceous follicles and comedones following treatment with vitamin A acid. Acta Derm Venereol 1975; 74(suppl):99-110. Lavker RM, Leyden JJ. Lamellar inclusions in follicular horny cells: a new aspect of abnormal follicular keratinisation. J Ultra Res 1979; 69:362-370. Hoyberg K, Knaggs HE. Environmental scanning electron microscopy of microcome-dones. Proc Ann Microsc Soc Am 1994; 52:370-371. Lees CW, Strauss JS, Downing DT, Pochi PE, Bachta M. Analysis of soluble proteins in comedones. Acta Derm Venereol (Stockh) 1977; 57:117-120. Bladon PT, Cooper NF, Cunliffe WJ, Wood EJ. Protein content of comedones from patients with acne vulgaris. Acta Derm Venereol (Stockh) 1985; 65:413-418. Plewig G, Fulton JE, Kligman AM. Cellular dynamics of comedo formation in acne vulgaris. Arch Dermatol Forsch 1971; 242:12-29. Knaggs HE, Holland DB, Morris C, Wood EJ, Cunliffe WJ. Quantification of cellular proliferation in acne using the monoclonal antibody, Ki-67. J Invest Dermatol 1994; 102:89-92. Hughes BR, Cunliffe WJ, Morris C, Leigh IM, Lane EB. Keratin profiles of the pilosebac-eous unit in sites prone to acne vulgaris—an in situ study [abstr]. J Invest Dermatol 1990; 95:473. Aldana OL, Holland DB, Cunliffe WJ. Variation in pilosebaceous duct keratinocyte proliferation in acne patients. Dermatology 1998; 196:98-99. Cunliffe WJ, Holland DB, Clark SM, Stables GI. Comedogenesis: some new aetiological, clinical and therapeutic strategies. BJD 2000; 142:1084-1091.